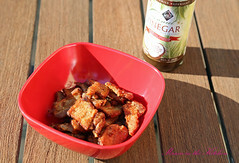 Need a quick but yummy vegan meal for a family picnic on a hot day? 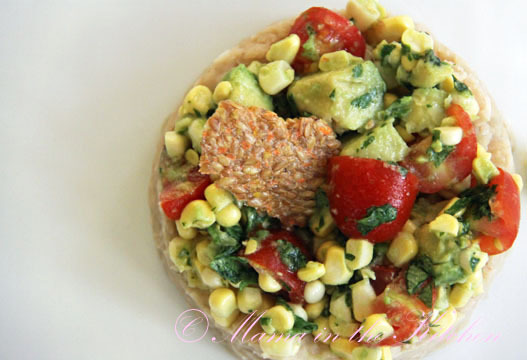 Then, carefully add all the chopped vegetables, leaving the avocado for the last so that it doesn’t get smashed in the process. 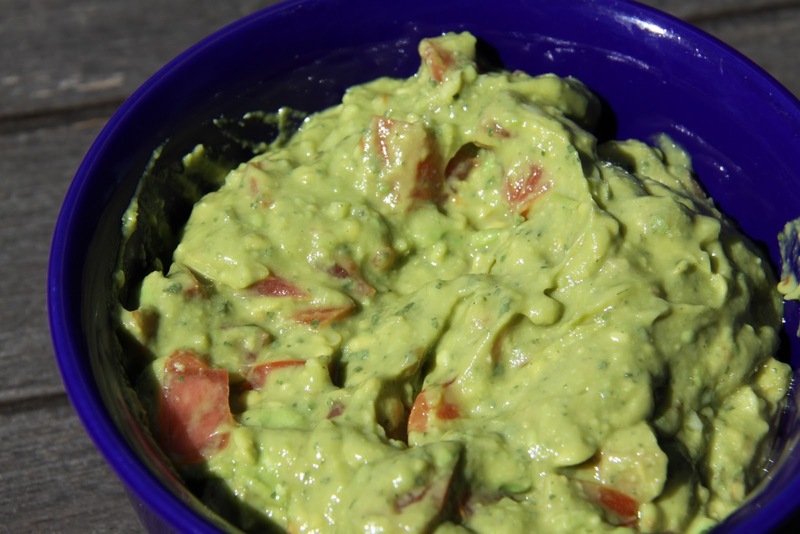 Place in a nice bowl and top with avocado pieces. Serve with extra dressing and nutritional yeast on the side. Your fave pasta. Your fave veggies. Your fave dressing. Your perfect veggie loaded pasta salad. 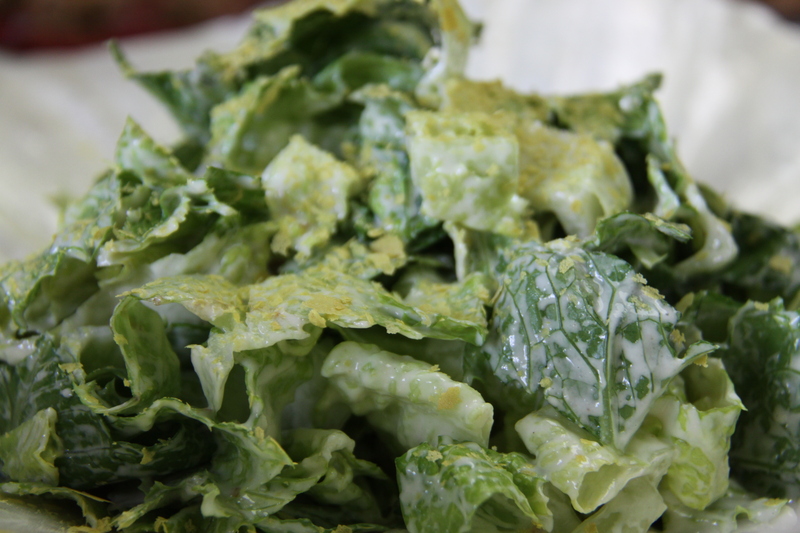 Caesar Salad was one of my favorite salads growing up! 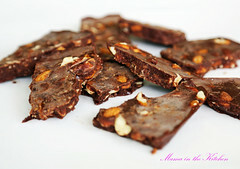 I think this raw vegan version is definitely going to be one of my faves from now on! 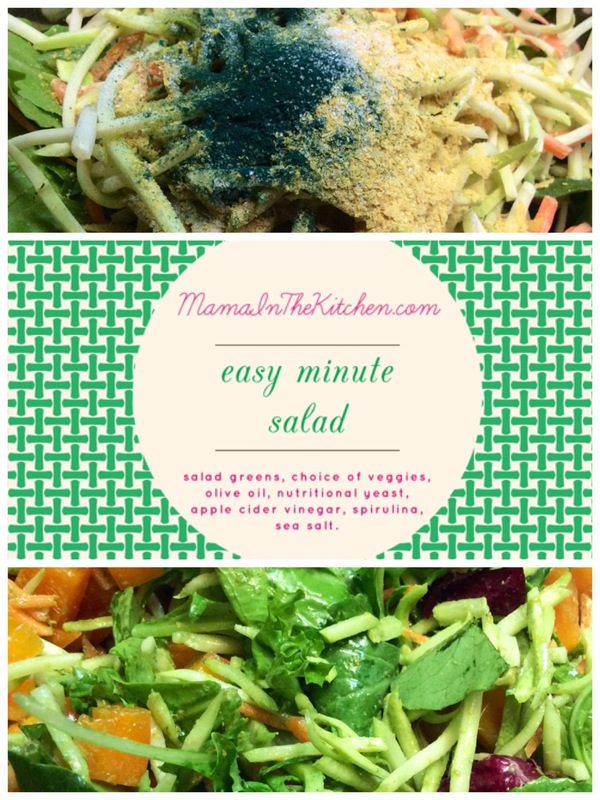 Raw Tahini is the main ingredient in this dressing and is a wonderful source of calcium, iron, thiamin, riboflavin, niacin, folate, magnesium, phosphorus, zinc, copper and manganese. Mix the lettuce well with the dressing. Top with Nutritional Yeast for some B12 and flaxseed crackers for croutons! 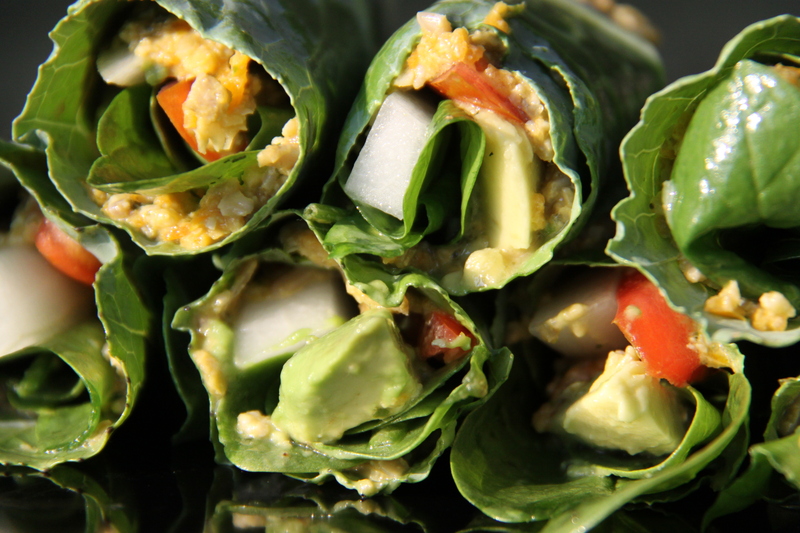 It’s easier to add more ‘raw’ foods into our daily diets than a lot of people think. How? 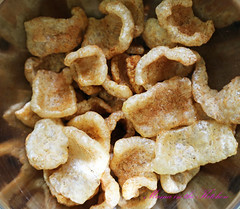 Substitute unprocessed ingredients for the processed ones and voilá! you’ve got something RAW. 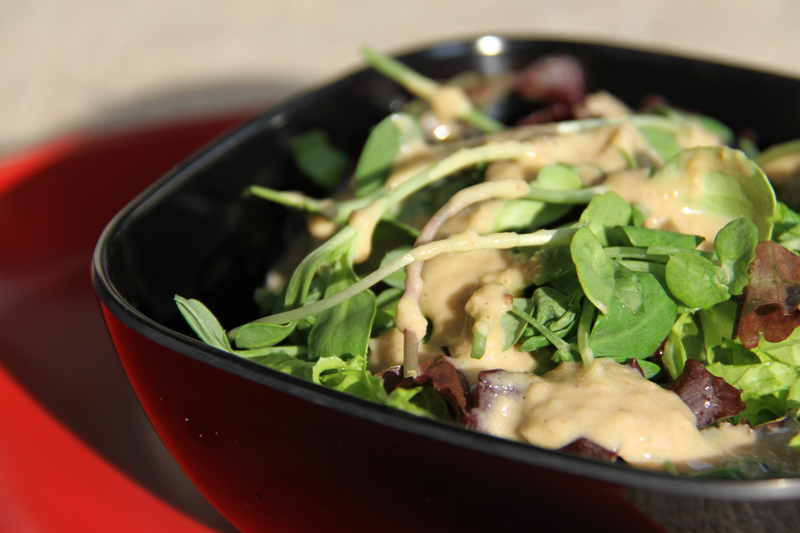 Here’s a quick and simple example of how I re-created a favorite Japanese Sesame Dressing. 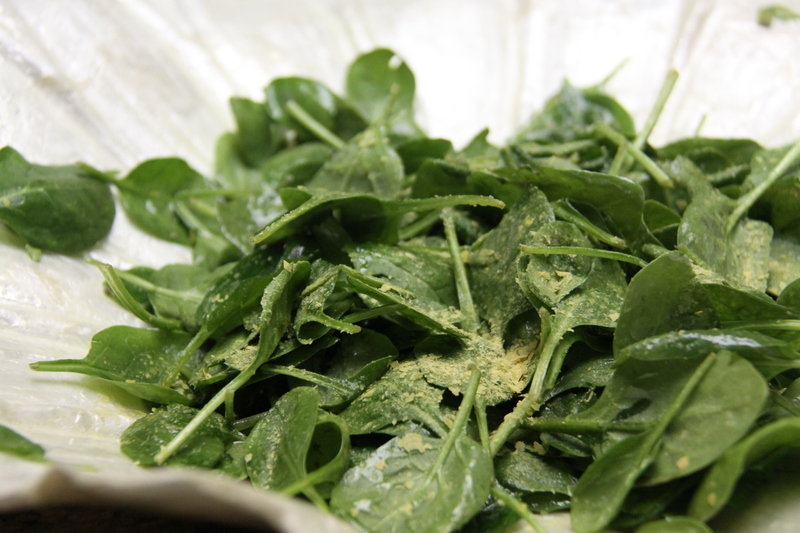 Enjoy your truly raw and unprocessed Spring salad greens and/or microgreens (the latter from City Roots)! I have been wanting to make Kimchi for a while because of its nutritional benefits: rich in vitamin A, B1, B2, calcium, iron and lactic acid bacteria. 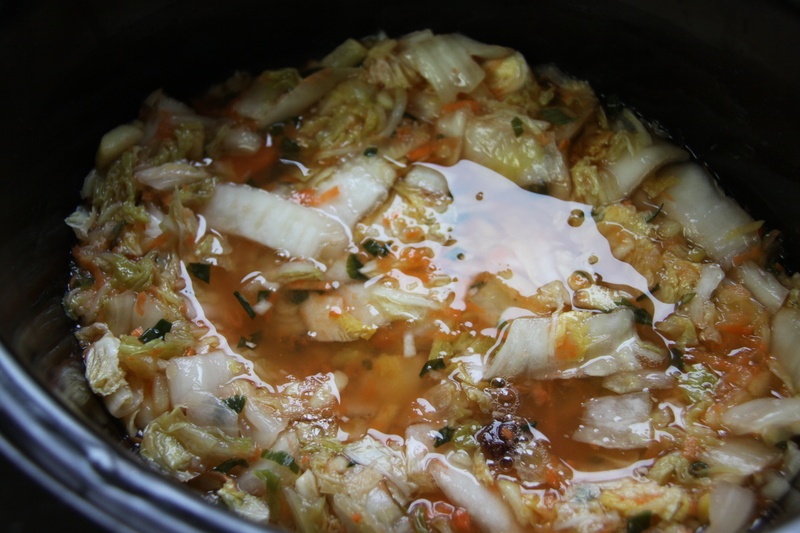 Kimchi is a Korean condiment that is basically fermented cabbage. So, a few weeks ago, I finally remember to ask Song, a Korean lady at my favourite local health food store, how to make it. But she introduced me to another shopper instead. “He knows how to make Kimchi. Chris, tell her how to make Kimchi,” Song says. I smiled inside as this White Cooked Foodie (judging from his food at the cashier) explains in detail to me, an Asian Raw Foodie, how to make Kimchi. Chris is very detailed in his instructions and I am inspired to finally make it. I experiment a few times, until I get the hang of it. With Chris’ help and one of my mother’s Korean cookbooks (one recipe contained Asian fruits that I substitute here with green apple and raisins), I finally create a mild sweet Kimchi that my son and husband will eat (i.e. not spicy here). Cover with water, place a plate with a weight on top (I used 2 mason jars full of water) or bamboo sticks fixed to the top of a jar to make sure all the cabbage is submerged in water. Leave overnight. The next day, drain the water and rinse the cabbage. Mix together well. Make sure there are no air pockets by pushing the vegetables down. 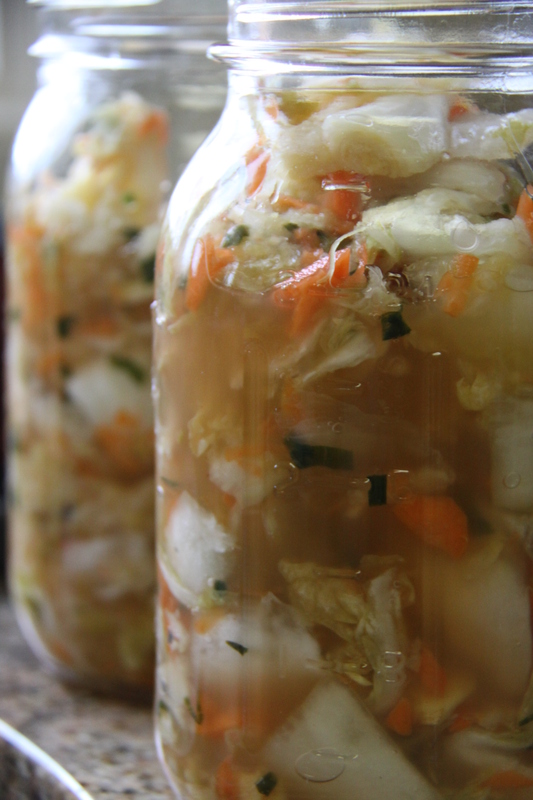 Again, place a plate with a weight on top or bamboo sticks fixed to the top of a jar to make sure all the cabbage is submerged in liquid. Cover with a towel and leave for 3 – 4 days. 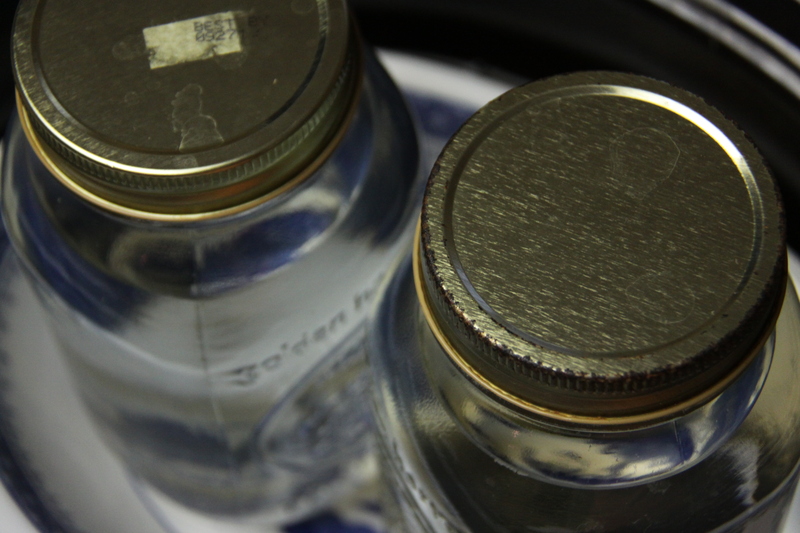 When done, place in mason jars and refrigerate. Eat it with other foods being served: salad, vegetable noodles (carrots, zucchini, squash), vegetable ‘rice’ (process in food processor cauliflower, sweet potatoes, parsley), and more! 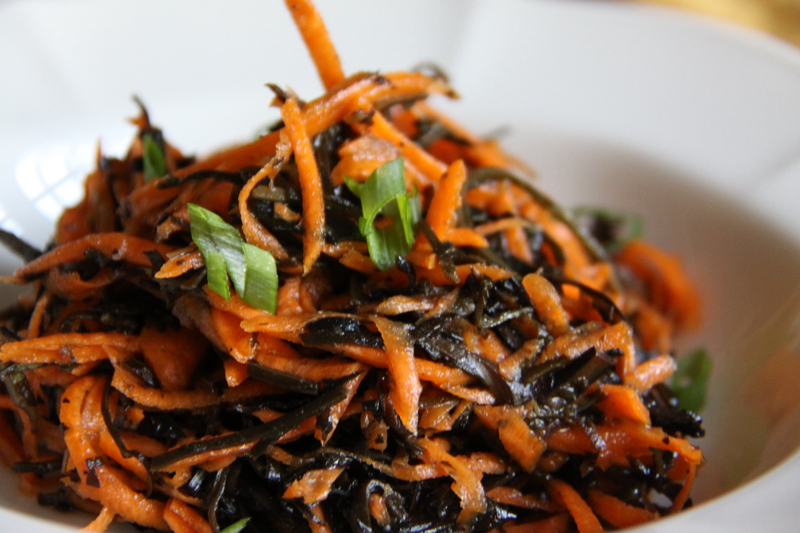 We really enjoy a Great Big Kimchi Salad: spinach, lettuce, avocado and kimchi with juices. Mix all together with your hands. Yum! 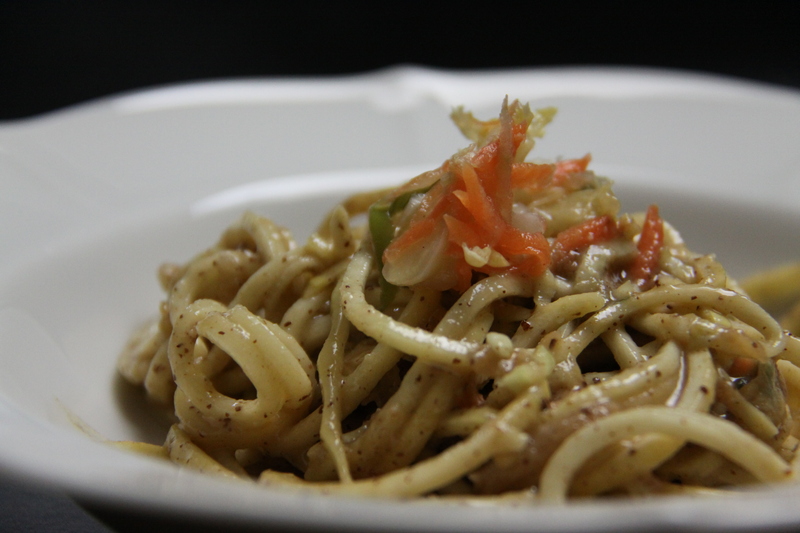 With Sesame Veggie Noodles (photo above), recipe from We Like It Raw. I don’t know how many times this week or today we had to tell our 4 year old that: 1. kicking and scratching someone is rude, 2. doing something out of spite is also rude, 3. please listen, and 4. YES, I think you knew all that. Tonight after another purposeful rude behavior, he said sorry in tears: “I’m really sorry Mama!! !” But then, he looks at me before sleeping and says: “Mama, if you sleep with me all night, I promise to be good. But if you don’t, then I won’t be good.” What? It doesn’t help that he doesn’t feel all that well either. Needless to say, I haven’t had much energy to spare these days. Well, you know what? Raw is super easy and quick. It’s the perfect food for anyone who is lazy. No waiting for something to be cooked, no washing extra pots and pans, and sometimes, hardly any prepping. AND you get loads of health benefits. Mix all together and get ready to feel energized! I like to keep things simple and easy. Not only does less ingredients mean an easier digestion process for the body, but it makes meal preparation quick and simple. Yesterday, I cut fresh scallions that are growing abundantly in my garden thanks to my friend Sherri. 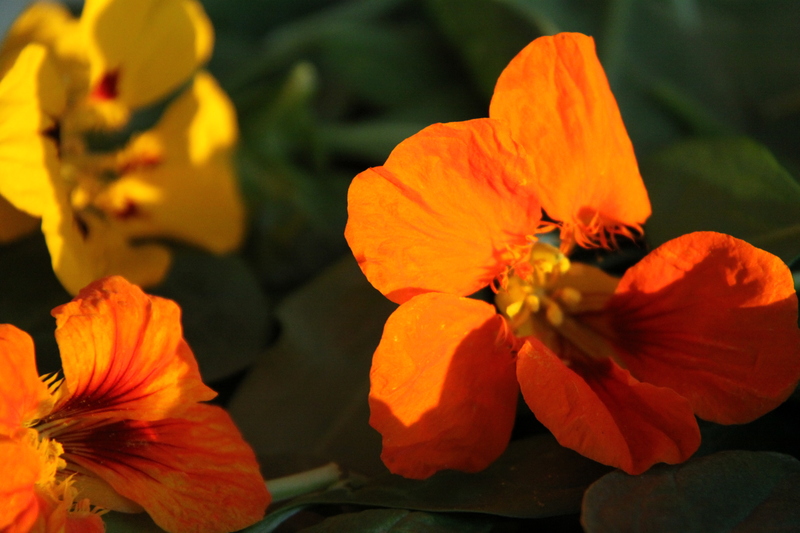 And I found beautiful nasturtium flowers at our city farm. So for dinner, I quickly put this salad together and my son chowed this down. 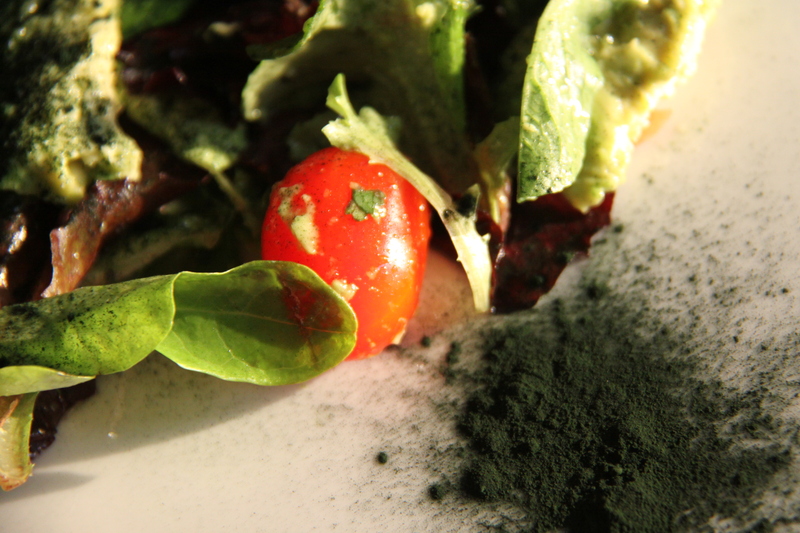 Toss enough dressing on the salad leaves and top with nasturtium petals. 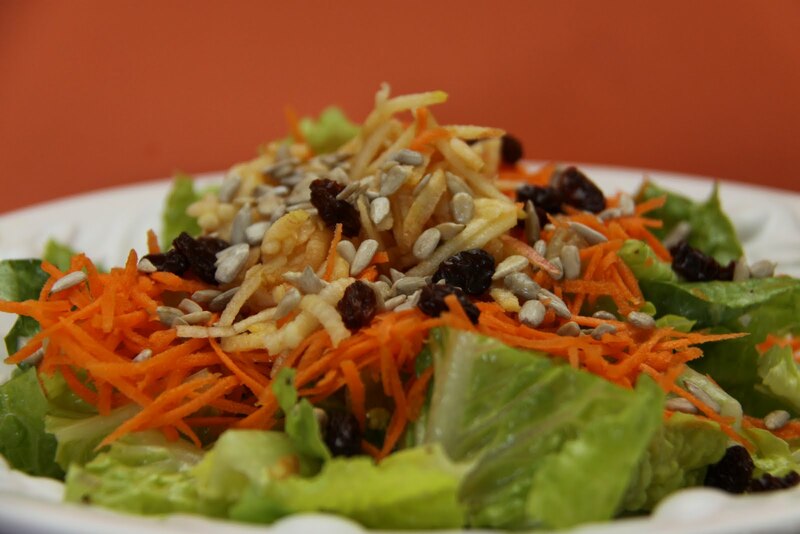 Enjoy the beauty of a simple salad! This is easy, simple and tasty. What more can a Mama want? Dress any salad with this dressing. I like my greens cut into ‘noodles’, so I roll the greens up and slice thinly. This dressing tastes great with most veggies. 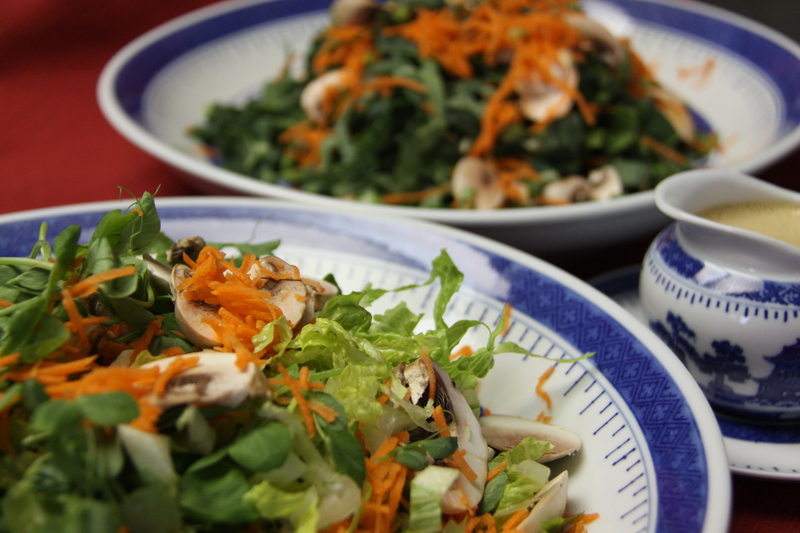 In the photo, one bowl has romaine lettuce, pea sprouts, mushrooms and carrots. In the other bowl, collard greens, mushrooms and carrots. But whatever you have in your fridge will do just fine. 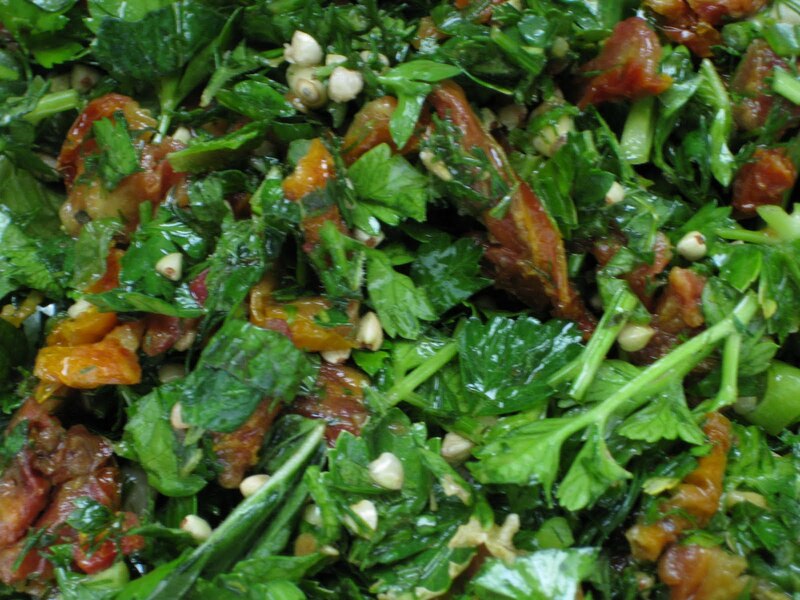 Kale, Tomato and Avocado Salad: I love it when the greens glisten like this! 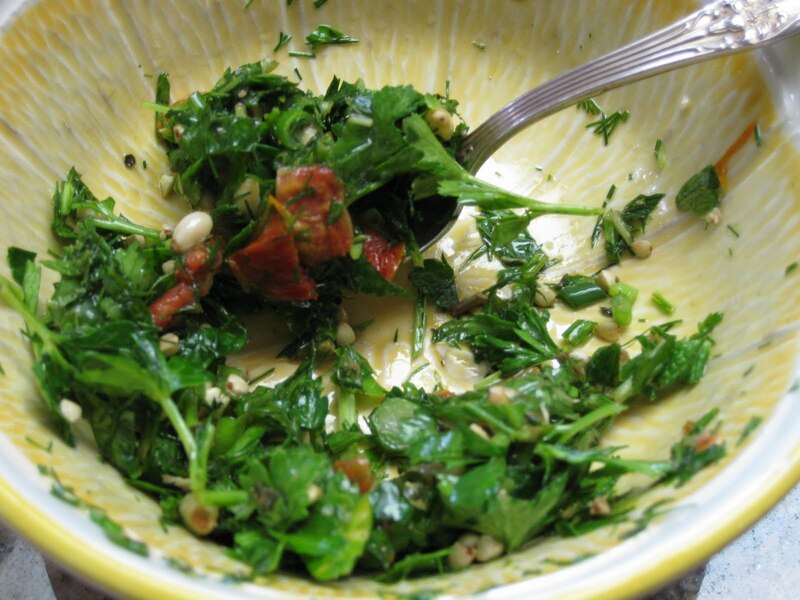 Dress any salad greens with this dressing. Top with nutritional yeast, for a fuller flavor, if desired. How quickly can I eat this salad? One of my son’s favorite ‘medicines’ when he has a cough is his Raw Apple Cider Tea: equal parts of raw apple cider vinegar and raw honey mixed together with warm water. So, I thought how about a salad dressing? This obviously worked as he used both his hands to finish a bowl full. (optional) add your choice of ground mustard, poppy seeds, ginger, herbs, etc. 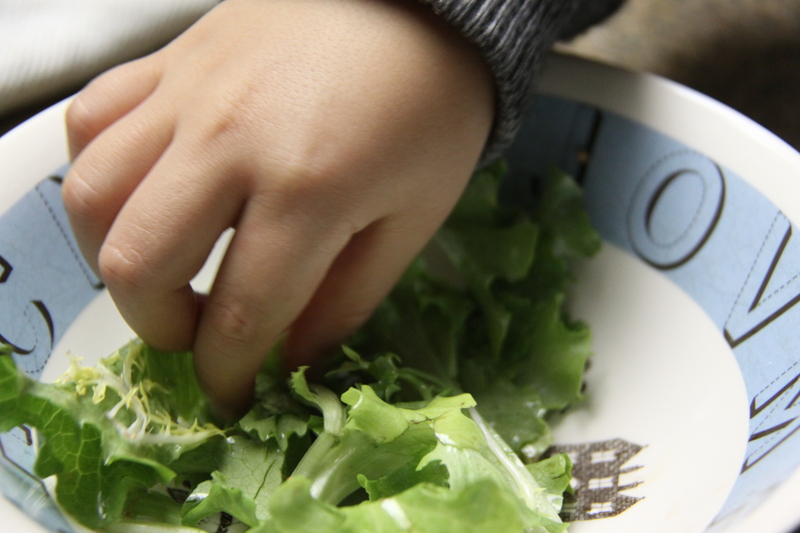 Lightly dress your kid’s fave greens and watch the salad disappear. Alternatively, you could use it as a dip too. 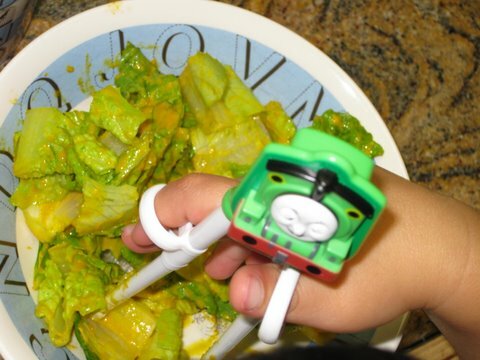 My son loves this salad. 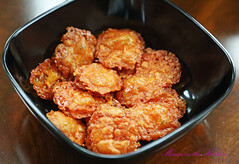 Very easy to do, quick and tasty. 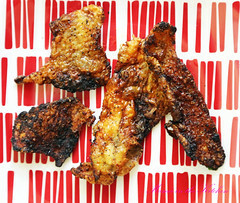 Marinate longer, or serve immediately. Our son ASKED if he could eat some… something about the colour and size perhaps attracted him? In any case, he ate a whole cup and more. 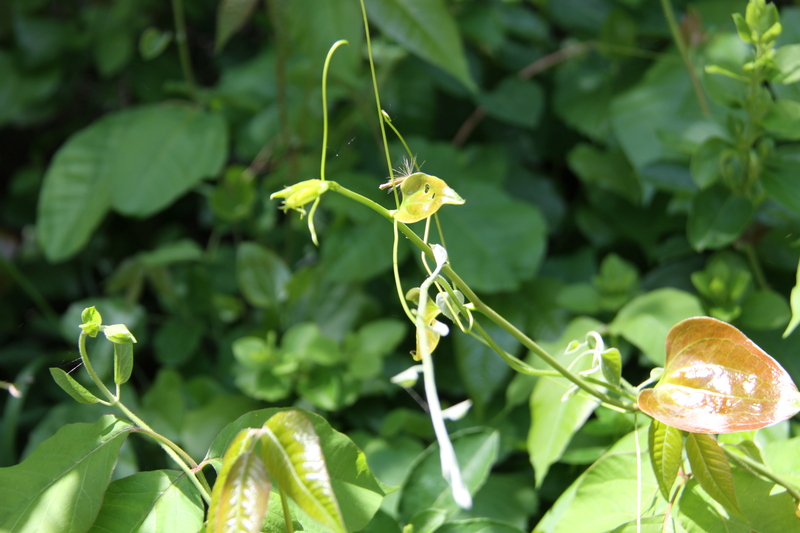 “Researchers at Purdue University found that bean sprouts contain extraordinarily high levels of good-quality protein. Mung bean sprouts, for example, contain more than 25% of their calories as protein, which is a higher proportion than in T-bone steak. And soybean sprouts have an even greater percentage. Because of their high levels of amino acids (the building blocks of protein), vitamins, and minerals, sprouts are considered to be one of the most perfect foods known to man. Dr. Burkholder of Yale University showed that when oats are sprouted, the vitamin B2 (riboflavin) content increases by 1,300%, vitamin B6 (pyridoxine) by 500%, and folic acid by 600%. Research in the late 1970s at the University of Puget Sound found that six cups of sprouted lentils contain the full recommended daily allowance of protein (about 60g) in a fully digestible form. 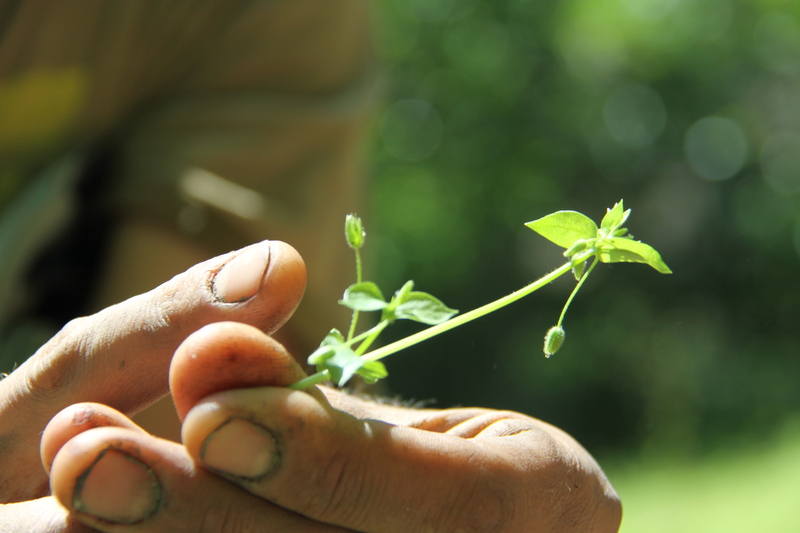 Scientists concluded that lentil sprouts could provide a significant portion of daily protein needs in a safe and inexpensive form. Needless to say, I think I will try to incorporate sprouts more in our daily diets. I think my boys are getting tired of anything green that is pureed: smoothies, breakfast puddings… So my new way to entice them to eat raw vegetables is through salads. This is a particularly kid-friendly dressing for those who prefer their salads sweet. I just bought the book Clean Food: A Seasonal Guide to Eating Close to the Source with more than 200 recipes for a healthy and sustainable you. With a title like that, of course it jumped out at me. Alice Waters’ recommendation was: “Clean Food is a must-have for any advocate of good, clean, and fair.” Mario Batali says: “Clean Food is the most exciting book based on fresh produce and simple recipes I have used in years. Well, I just had to have it. 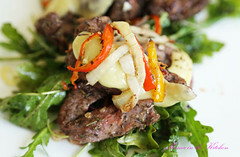 The book is divided into seasons and the recipes are easy and created with nutrition in mind. 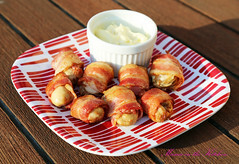 The author uses more tofu and canola oil than I would like, but these are easy to substitute. 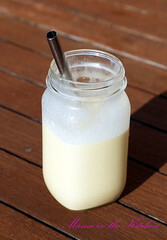 Recipes do not use dairy, eggs and wheat. 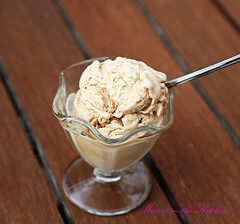 Cream is also created from cashews, which is very much a raw foods method. 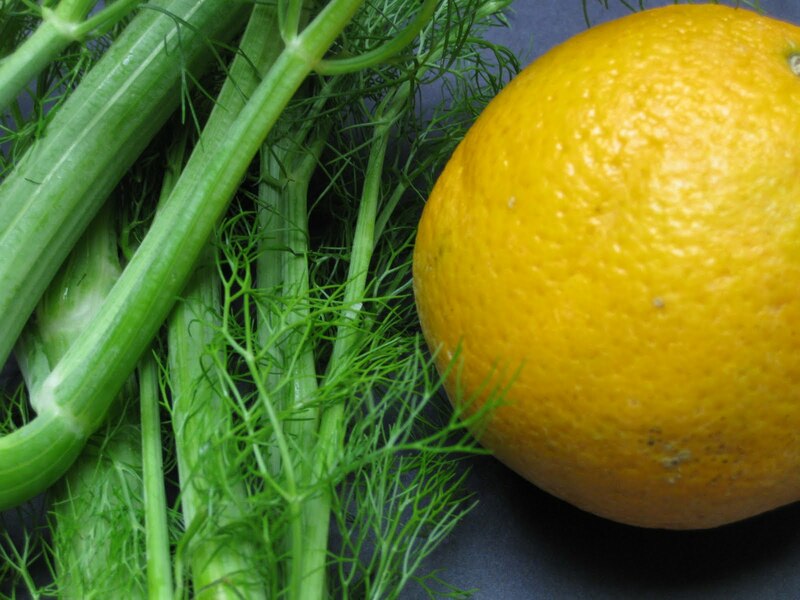 The 2 Spring recipes I have so far tried are the Carrot Raisin Salad and the Fennel and Orange Salad. I tweaked both recipes and the latter was a success with our son. 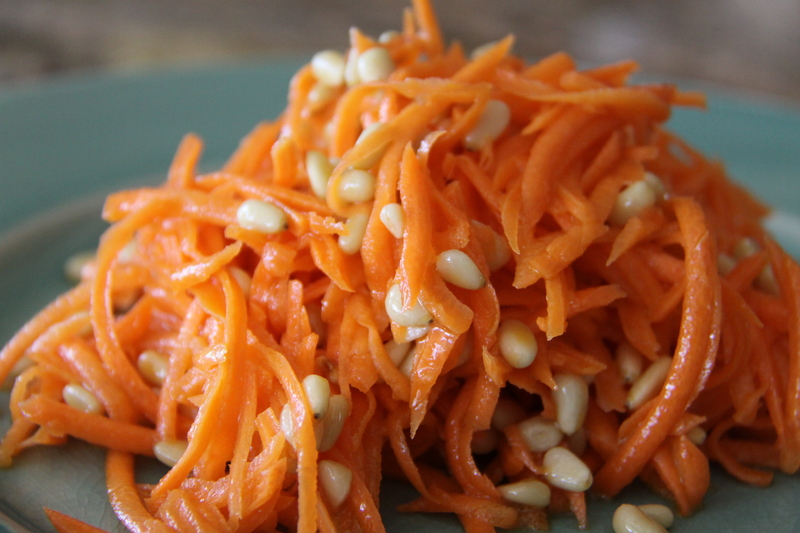 This salad is full of vitamin C.
Mix the dressing into the vegetables. 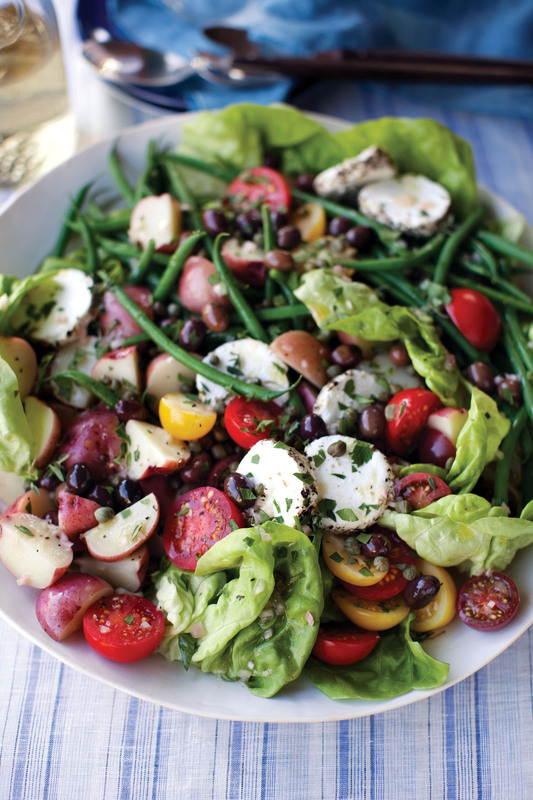 I love taking this salad with us on picnics! It smells delicious and is perfect on a sunny spring day outside. 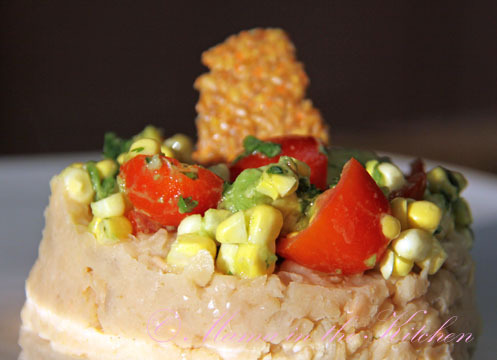 Note: the last 2 ingredients are to add some crunch because we are not using bulgur wheat in this raw recipe. 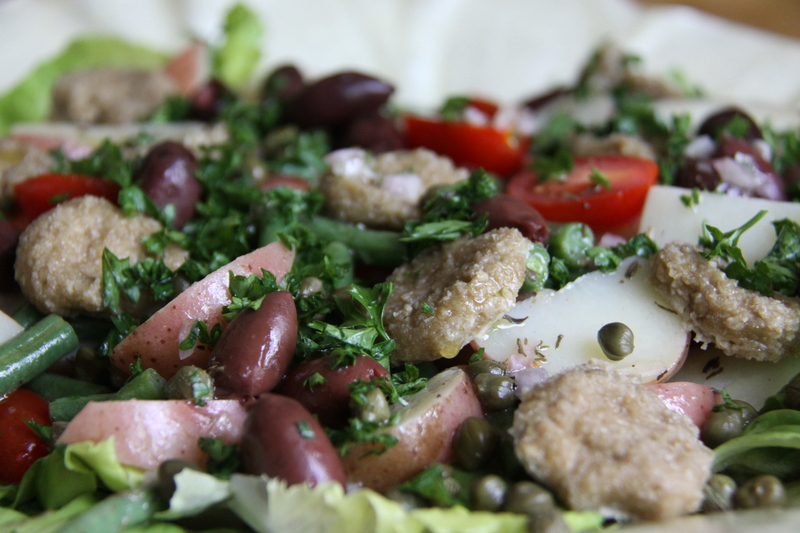 I love this salad and so do all my meat-eating family and friends who come over for a meal with us. 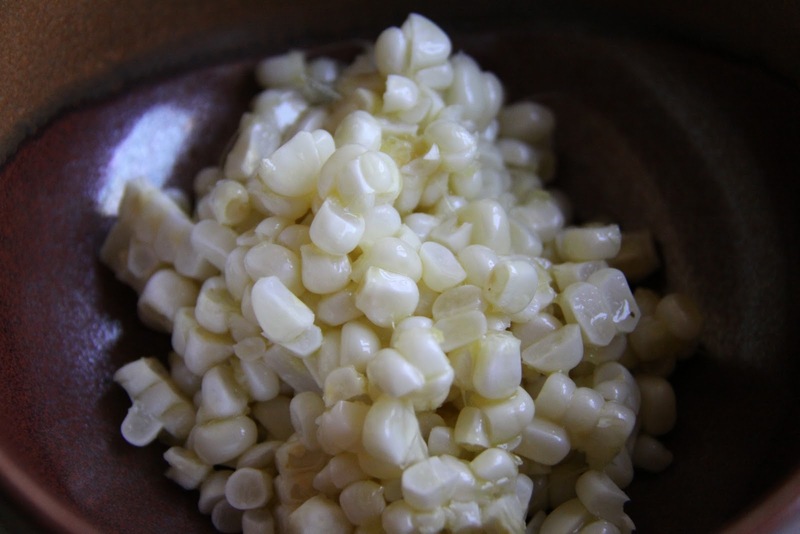 It’s really delicious – not to mention easy! 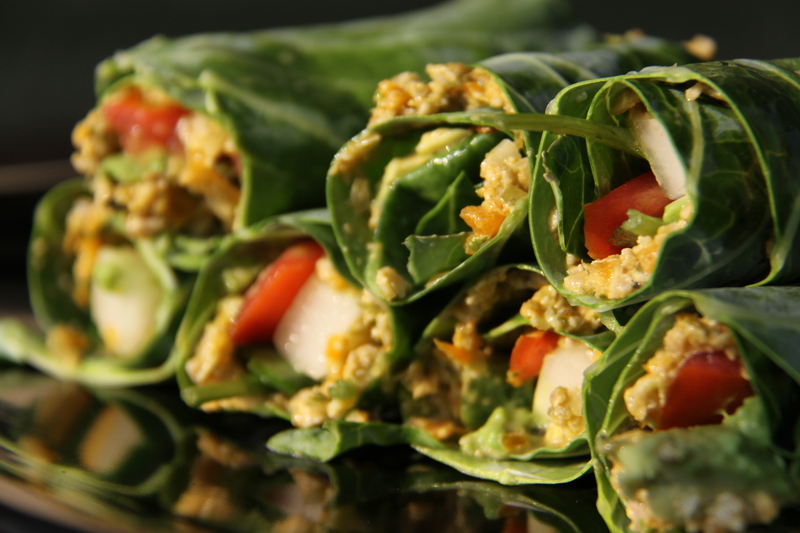 Maybe that’s why I highly recommend Ani Phyo‘s books to friends interested in raw food – most of her recipes are easy and yummy. 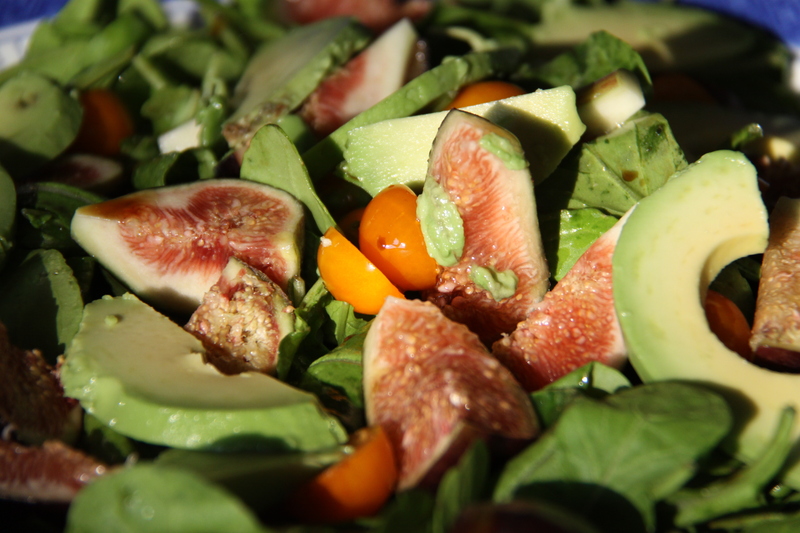 In fact, one reason I became hooked on raw food was because of this salad dressing. 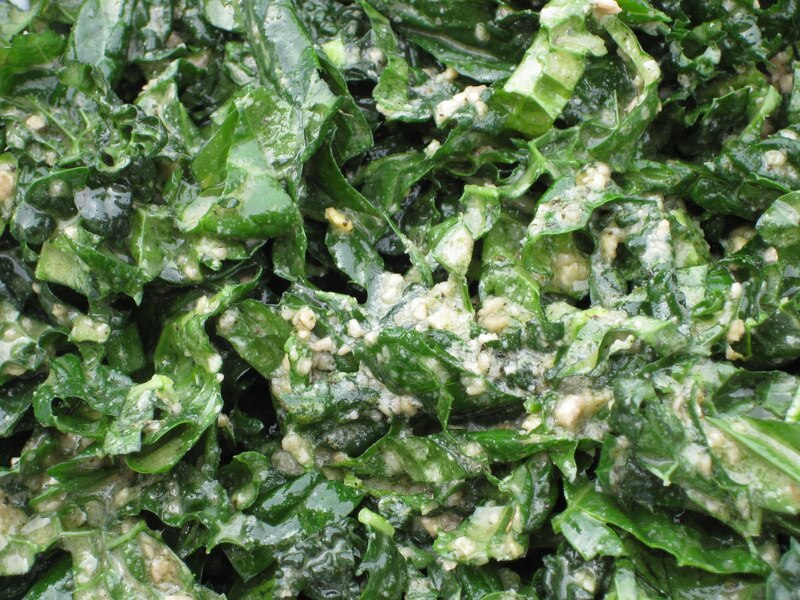 Toss with a bunch of kale or collards. While I am a vegan, my husband and son are not – but I try to cook 2 vegan or vegetarian meals for them out of 3 each day. 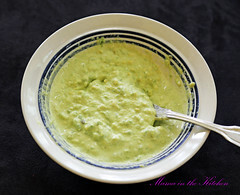 I make sure we enjoy green smoothies each morning and a delicious vegetable dish at each meal. Most of our meals are cooked fresh from scratch and while I work in the kitchen – sometimes happily, sometimes hurriedly – my only wish for all my trouble is for my family’s health. But as I read more about changing diets in our world today, I realise that there are other bonuses: a more vegetarian diet does a lot of good for the health of the earth and for the health of others. 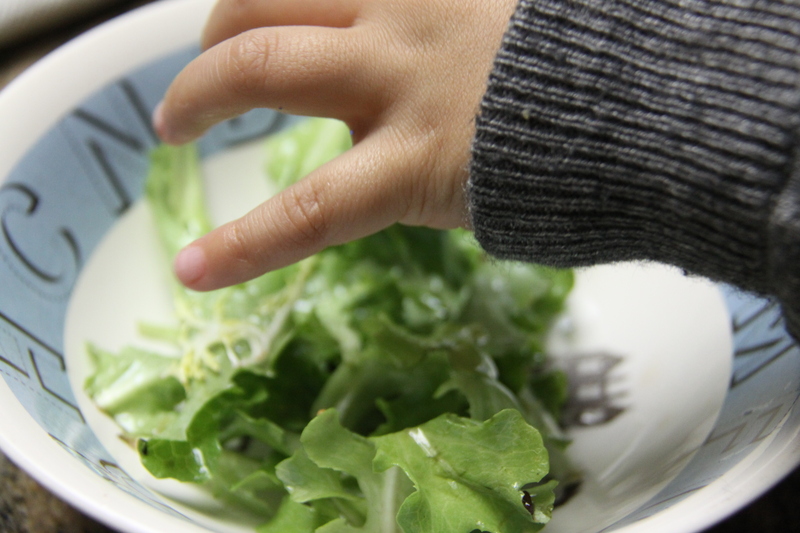 We love that our son has a favourite salad! 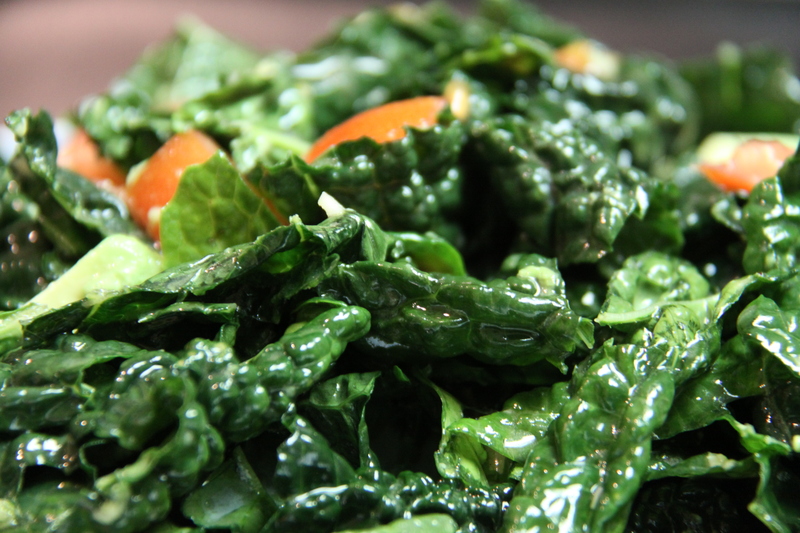 We use grapeseed oil, maple syrup and no added salt or pepper in this simple and quick Japanese dressing. In my mind I was shouting: “Excuse me!” (It almost reminded me of the time my grandmother served us cake for breakfast because CAKE IS HEALTHY!) There were 4 big problems with this stewardess and this scenario: 1. her underhanded manner, 2. this is exactly why so many children are unhealthy these days, 3. she was assuming it was OK by my son, and 4. she was assuming it was OK by his parents. But instead of reacting to her, in a rare Zen moment I just let it go. The stewardess returned and playfully displayed the 2 bags of crisps and 2 cheese rolls in front of my son’s face: “Which one would you like, sweetie? 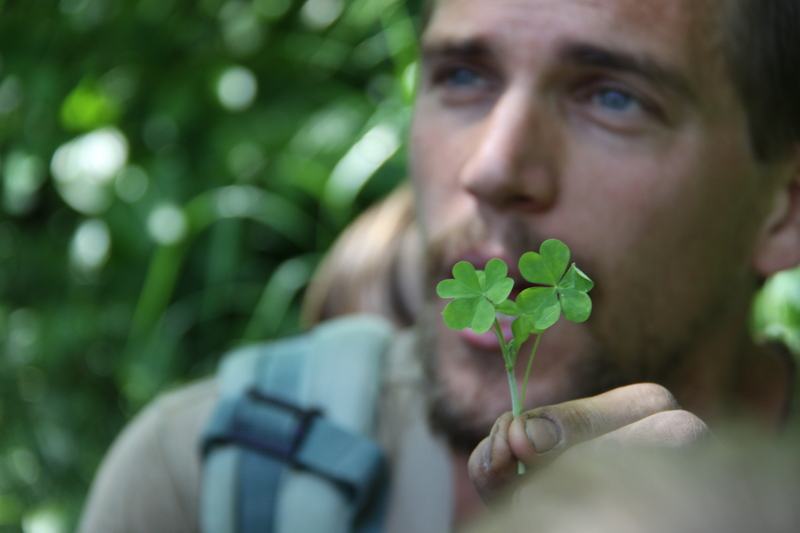 Mmmmm… yummy!”. I grit my teeth. My young son looked at the junk food and then looked at her in the eye and shook his head. He firmly said, “No. Do you have some grapes?” The stewardess was taken aback and really looked quite hurt. She left with the crisps but placed the cheese rolls on the table. My son continued to eat all the bananas and grapes on his table and left the cheese rolls untouched. Needless to say, I was ecstatic! This ‘food challenge’ experience made me realise that our son can hold his own. It also affirmed the importance of education at home. I usually sift through Forbes magazine quickly, but last November an article called Drop That Burger caught my eye. The article gave reasons why Patrick O. Brown, a Stanford University Biochemist, a member of the National Academy of Sciences, an investigator of the Howard Hughes Medical Institute and a vegan, wants to eliminate animal farming on planet earth. He “notes that while livestock accounts for only 9% of human-caused carbon dioxide emissions, it accounts for 37% of human-caused methane (most of it emanating from the animals’ digestive systems) and 65% of human-caused nitrous oxide, according to the Food and Agriculture Organization of the United Nations. Both are far better at trapping heat than carbon dioxide, meaning that cows, chickens and their ilk have a larger greenhouse effect than all the cars, trucks and planes in the world.” In addition, a well-known economist and professor at London School Economics, Lord Stern, suggests we could fight global warming by changing our diet into a more vegetarian one. 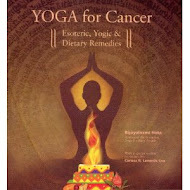 I hope in my small way I am really improving my family’s health and thereby helping others too.